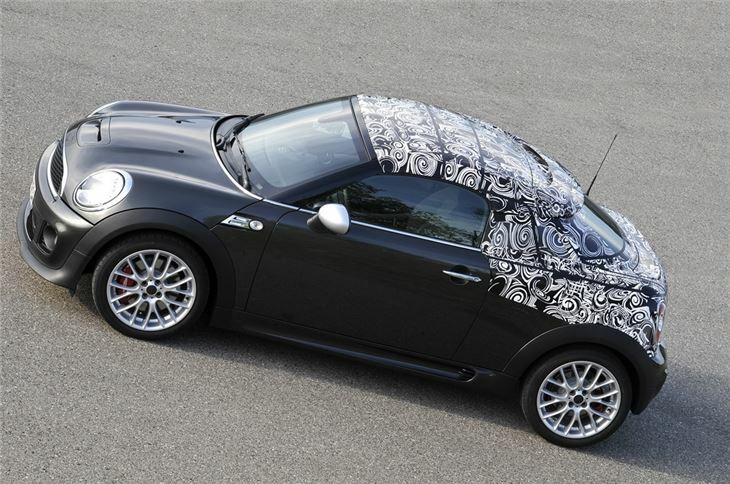 MINI has revealed details about its latest model - the MINI Coupe. The two-seater is the next step as the brand aims to widen its appeal and follows on from the launch of the more practical four-door Countryman in 2010. 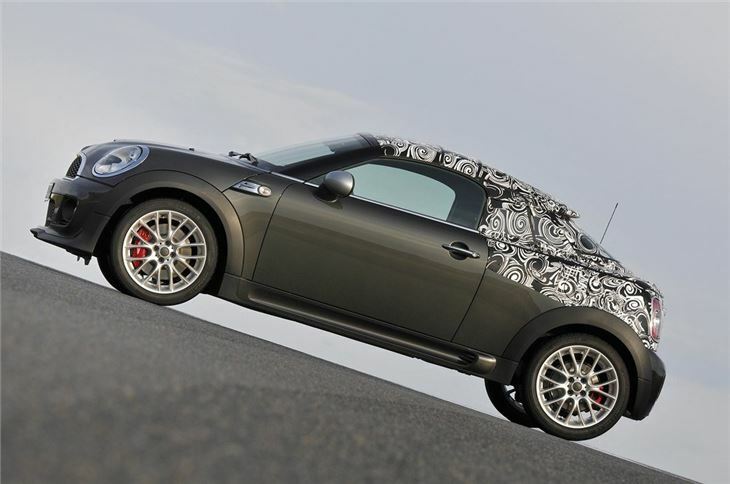 The newcomer is designed as a sports car with lower suspension and sharper handling. 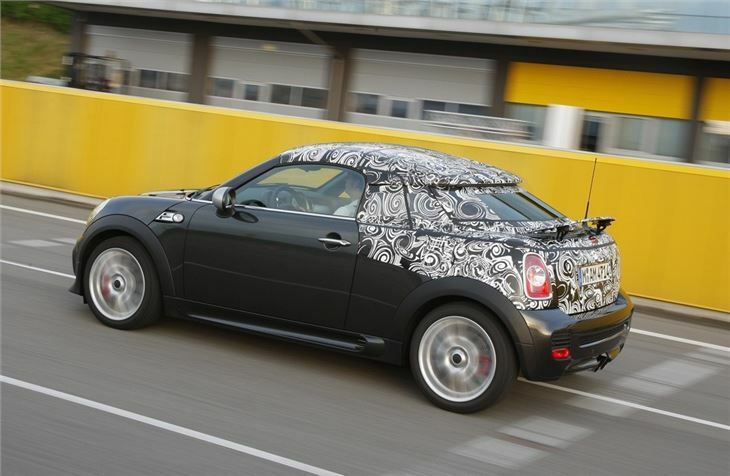 Although we don't have any details about exactly when it will go on sale - or indeed what it will cost, MINI has confirmed that will be available with a wide range of engines from the MINI Cooper Coupe with 122bhp and the MINI Cooper S Coupe with 184bhp right up to the MINI John Cooper Works Coupe with a hot hatch-esque 211bhp. There will also be a diesel available in the shape of the excellent Cooper SD with 143bhp. All the engines used MINI's fuel saving measures under the MINIMALISM umbrella (MINI's version of BMW's Efficient Dynamics) and the Cooper SD averages a claimed 65.7mpg with CO2 emissions of 114g/km. There's a six-speed manual gearbox as standard plus there's a six-speed automatic option for Cooper S Coupe, Cooper Coupe and Cooper SD Coupe. 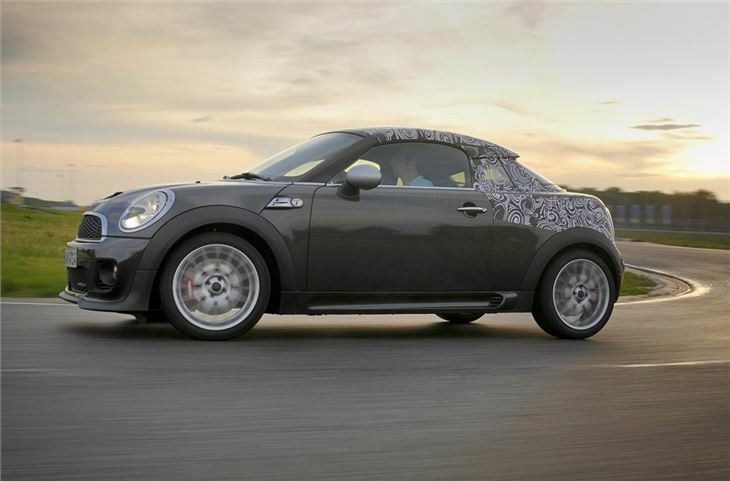 As you can see from the lightly disguised car in the pictures, the MINI Coupe isn't exactly a huge departure from the rest of the range in terms of looks with the same front end. But it's the rear that's the real talking point. 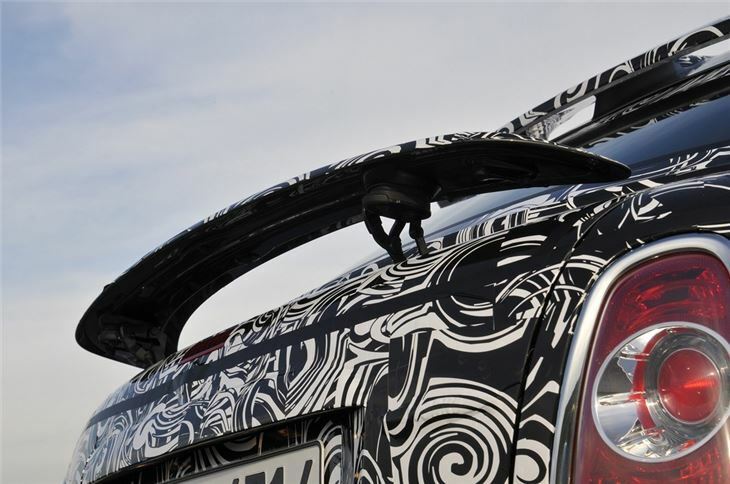 It features what MINI calls the 'helmet-roof' which incorporates an integrated roof spoiler plus there's an automatic spoiler on the tailgate which raises at 50mph. Despite the lower roof and two-seat layout, MINI ays the Coupe will still be practical (well as practical as a MINI gets) with a high-opening hatch, a large luggage area and a through-loading function. It sits 29mm lower than a standard MINI while the electric power steering, DSC stability control system and brakes have all been tuned for a sports car feel. 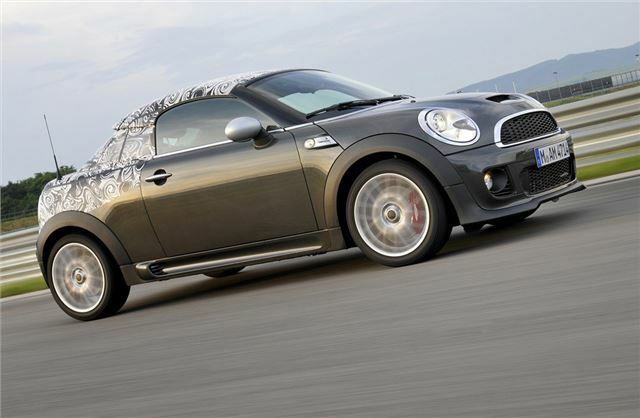 MINI has made the body more rigid and shifted the car’s weight balance slightly further forward, to try and give the front-wheel-drive MINI Coupe optimum traction and agility.